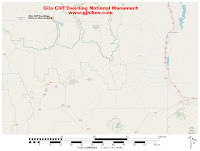 The Trail to the Past is located in the Gila Cliff Dwellings National Monument north of Silver City, New Mexico. The trail has two branches that go off in different directions. One branch leads to a cliff where there are several panels of interesting pictographs. The other branch leads to an alcove that contains a small ruin. The trailhead can be found at the Lower Scorpion Campground along the road between the Visitor Center and the Gila Cliff Dwellings. The trail to the rock art is an easy stroll along a wide hard packed gravel path. The cliffs are covered with reddish pictographs that according to a nearby plaque were painted with a mixture of water and hematite. Some of the images were painted over the top of others. There is some resemblance to paintings that we have seen at other non Mogollon sites but the overall style seems unique. The other branch of the trail that leads to the cliff dwelling is more primitive in nature but still an easy hike. The cliff dwelling can be found beneath a small overhang on the west side of the ravine. Without a lot of head room the dwelling almost looks more like a large granary. 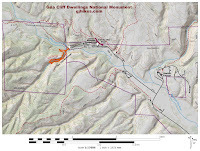 There is quite a bit of level ground outside of the structure that is still partially covered by the overhanging cliff that could have served as a work area. Many sites like this were probably only used seasonally. Maybe this was their summer cabin. Here is a picture of one of the camp sites where the amenities are a picnic table, grill and a restroom nearby. 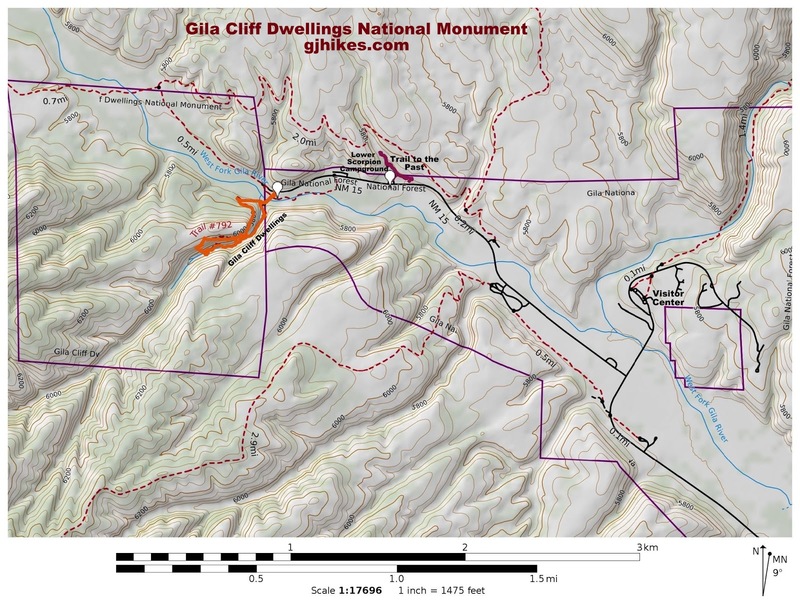 The Trail to the Past is well worth the extra time that it takes for those that have come to see the main attraction of the Gila Cliff Dwellings. 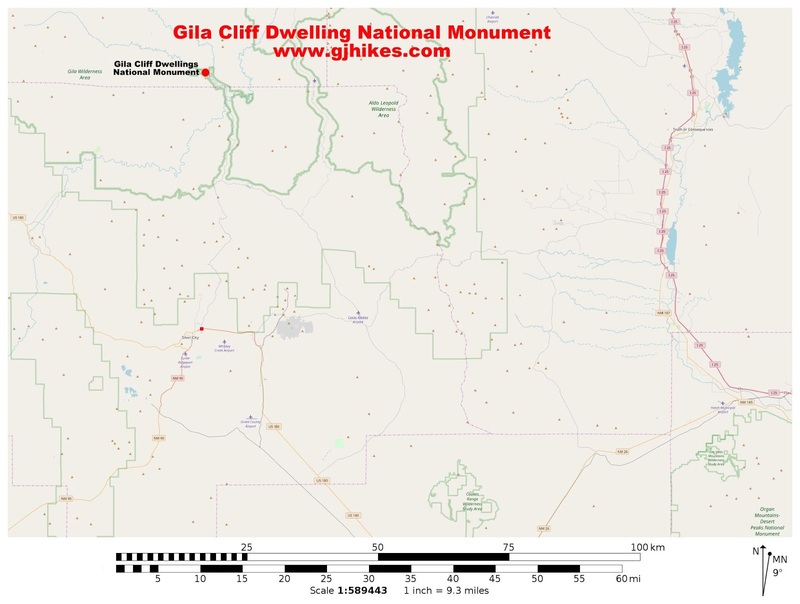 For those that would like to stay for awhile and do some additional hiking there are numerous short trails in the surrounding Gila National Forest and Wilderness Area as well as some multi-day backpacking opportunities. If you would like to see it for yourself then all you have to do is 'Take a hike'.